The Hexagonal Activity Tower is designed and built by us to suit your needs and budget. It blends well into the environment and will still look as good in years to come as the wood naturally ages and the product settles into it’s new environment. Many of our Hexagonal Towers are constructed using robinia timbers which contain natural preservatives meaning that the product will last for many years to come. Robinia timber is a hard wood making it extremely hard difficult to cut and therefore vandal-proof. It also retains its natural shape and therefore no two pieces of Robinia Timber are the same. We also work with pressure-treated slow-grown European Pine, Spruce or Fir. We will advise on the most appropriate timbers to use for your Hexagonal Tower and the costs will reflect the timbers used. 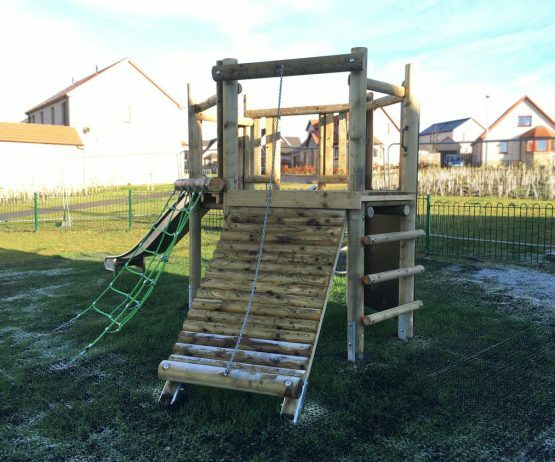 The towers are generally is supported by 14cm diameter machine rounded timbers which are fitted with galvanized metal extended feet, so reducing any timber having direct contact with ground moisture. The main deck platform is constructed with machine rounded timber fixed to the main legs and supports redwood decking. The deck platform has a selection of access and exit points offering a variety of activities such as climbing ramp, scramble net and rock wall. The sides that do not have climbing elements are enclosed with half round balustrades supported by half round rails that are fixed to main supporting legs. 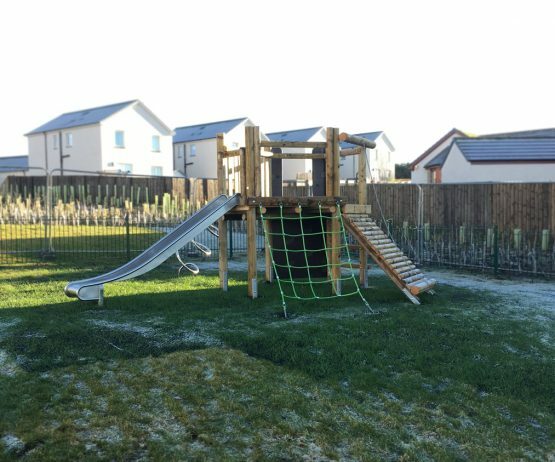 The height of the platform can be anywhere from 1.0m to 2.5m depending on the age range and abilities of those who will be using it. Our Hexagonal Activity Tower can be added to in years to come when new budget becomes available to spend on outdoor play provision. Because we design, and build these towers ourselves, we are able to make any amendments and repairs without needing to order up any parts from external sources which means that any maintenance can be done swiftly and with minimal cost. Let us quote for you! 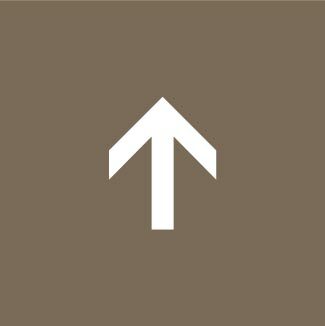 The price of the Tower will depend on the final layout and the access and exit points that are on it. Delivery, installation and safety surfacing will also be a factor. 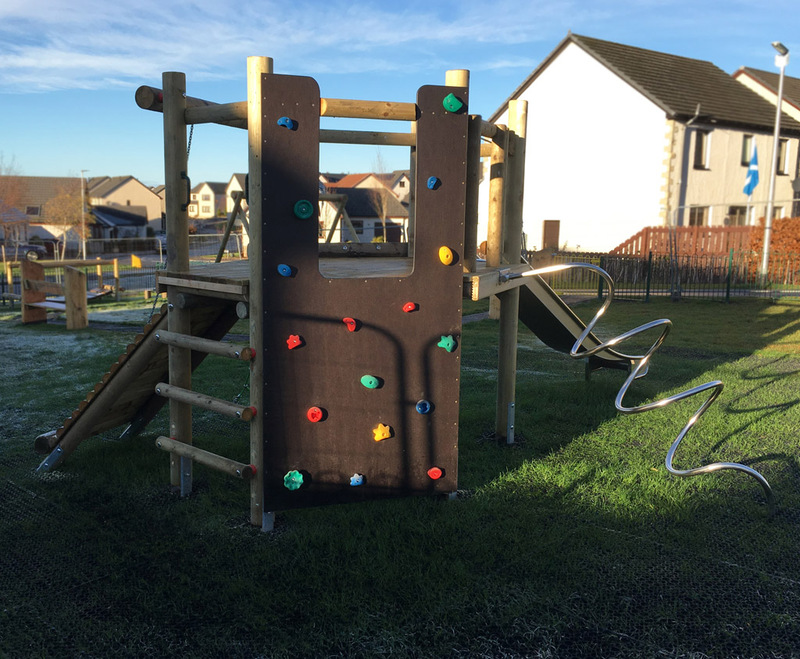 We will be happy to give you a full quote on the cost of having one or more of these towers installed as part of your outdoor play provision. 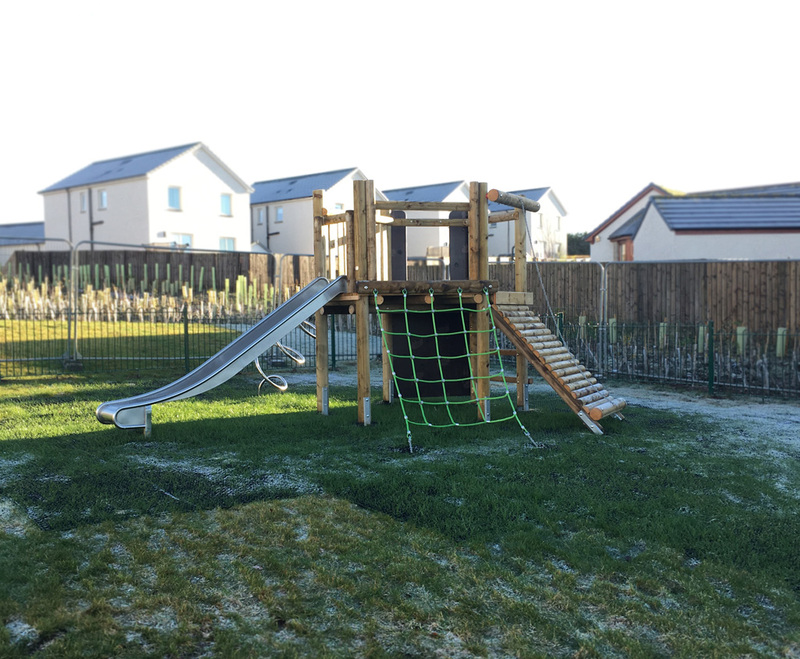 We can arrange a site visit where appropriate to assess the ground it will be installed on, the general flow of the play area, to advise on the most appropriate safety surfacing and much more. We can then also assess logistical issues such as site access etc that will be relevant to the installation team. This product is also available as an Octagonal Activity Tower (CP-TWR OCT). For further, more detailed information on either of these products please email sales@caledoniaplay.com. Stainless steel fixtures and fittings limiting any rust and corrosion.